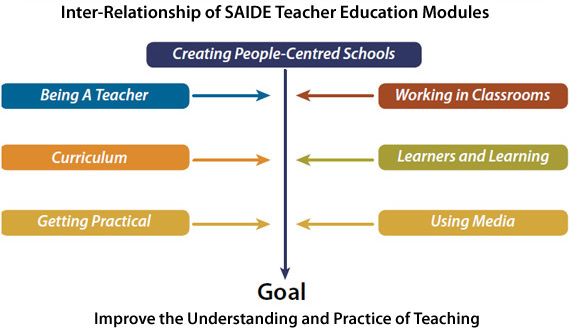 Saide's Study of Education project was initially started in the late-90's with funding from the Kellogg Foundation. The aim of the project was to develop a multi-media series aiming to develop teachers' abilities to use theory in practice; and to understand, intervene in and improve their practice as teachers. The full suite of courses were initially published by Oxford University Press, who subsequently retained two titles: Curriculum: Organising Knowledge for the Classroom and Getting Practical. The remaining five titles, together with their assets, namely, readings, audio and video are now openly licensed. The guides were updated in 2010. Links to the readings can be found on Saide's OER Africa website.